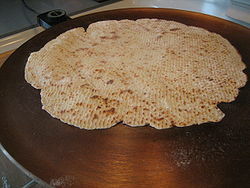 We have an annual tradition of making Lefse as a Norwegian family for Christmas. It has become something I really have enjoyed over the years. We get together at Joan’s and the Bakken women try our hand at the flat bread. The best is when it is hot off the grill and you bathe it in cinnamon and sugar and butter. In fact, I think that can be said about any Norwegian dish!